Attention grabbing printed covered notepads! 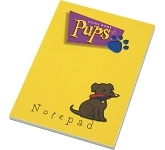 Printed covered notepads are the ideal way to catch the attention of everyone. Why direct your efforts just to your target audience? Aim higher! Reach everyone and raise your brand awareness through the roof. Not to mention, covered notepads are recyclable and great for the environment. It's a win-win situation. 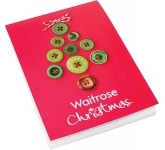 These beautiful printed covered notepads come in a wide selection of colours. What's more, they are also quite large. That means that there is plenty of space for your logo, motto, or other designs that you had in mind. Promotional notepads are usually a stellar choice for a promotional item. However, with covered notepads, you can take your marketing game a step further. They carry all the benefits with an even bigger appeal. 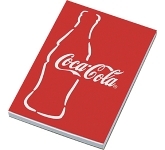 Furthermore, promotional covered notepads will do wonders for brand awareness and visibility. They are very affordable. Therefore, you can manufacture them in great numbers and hand out at every event. Before you know it, everyone will have your covered notepad. Thus, they'll strut your logo around offices, schools, universities and when your on the road, they are perfect as promotional trade show giveaways or handouts at conferences, exhibitions and business seminars. 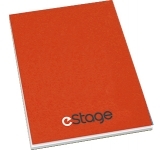 Additionally, covered notebooks can raise your brand awareness even more. Consider how often people carry them around and use them outside of offices and classrooms. If you think about it, a well-placed covered notebook can be more useful to you than a print ad. And when you hand them out in hundreds and thousands - well, you get the picture. Of course, as you know, the point of printed business gifts is to get your name out there. You need people to notice you. However, you can't achieve that by handing out cheap, useless items. To get the level of brand visibility you're aiming for, you need practical, attractive items. And covered notepads represent the perfect harmony between usefulness and appeal. The glossy, laminated cover looks sleek and elegant. Furthermore, your logo will fit right in there. It's crucial that you hand out expensive-looking items. That way, people will appreciate your effort and the money you've invested in them. What's more, they'll show you their gratitude. Therefore, don't miss out on such cost-effective products. 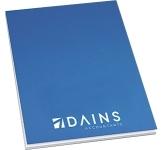 Wrap your marketing strategy and utilise the power of covered notepads. They are great for the environment and for your return on investment. What more can you ask for? We offer a variety of printing options on our vast range of promotional covered notepads including the very latest in UltraHD print technology allowing us to reproduce full colour images, graphics and logos to a standard most suppliers can only dream of. Our notepads are total customisable so you can opt for a cover design with plain sheets, or alternatively we can in addition print each sheet with your logo and contact details - the choice is totally yours! So, if you are looking for low cost, budget, value or cheap printed covered notepads, and happen to find the same notepads cheaper, with the same print specification and turnaround, just let us know and we will match the price and back it with our industry Award Winning Customer Service - that's our guarantee! 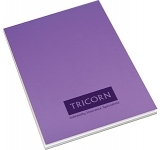 For additional information on our range of covered notepads or how to use promotional products effectively to enhance your latest marketing efforts, why not contact us and have a chat to one of our dedicated account managers who will be happy to advise you further.